Core vaccinations Non-core vaccinations? Side effects How are vaccines administered? Do I need to vaccinate my indoor only cat? Why do kittens need three vaccinations? Vaccination schedule for cats What if I don’t want to vaccinate my cat every 1-3 years? How much do vaccines cost? Vaccinations have significantly reduced the incidence of several infectious diseases over the past few decades. They work by introducing either a modified live vaccine which contains viruses that have been altered so that they are no longer able to cause disease, or a killed disease-causing organism (virus or bacteria). This stimulates the immune system, making it better able to defend against the disease. There are two kinds of vaccinations core and non-core vaccines. Their usage may vary depending on where you live and local regulations. What are the core vaccinations? The core vaccination (F3 or FCRVP), which stands for Feline Viral Rhinotracheitis Calicivirus and Panleukopenia. Core vaccines are vaccinations which should be given to all cats regardless of location. * The rabies vaccine is compulsory in most states of the United States of America. Some kittens may be a little lethargic or listless after a vaccination. This generally passes within 24 hours. Soreness may occur at the spot of the vaccine which will resolve in a day or two. A small, painless lump may occur at the spot of the vaccine. This will generally go away within a few weeks, but it is important to keep an eye on the lump. If it doesn’t go away, or if it increases in size, seek veterinary attention. Hair loss at the site of injection may occur in some cases. This will grow back in time. Intranasal administration of vaccines can cause mild sneezing and discharge. Severe allergic or anaphylactic reactions to the vaccine can occur in rare cases. Vaccine-associated sarcomas (VAS), which are a type of cancer that results from vaccinations can develop, especially rabies and feline leukemia vaccines. The occurrence of VAS is between 1 to 10 per 1,000 cats. In some cases, the vaccine may not be effective (vaccine failure). There are several causes of this including improper transport or storage, inadequate immune response to the vaccine, maternal antibodies inactivating the vaccination. Most vaccines are administered via injection under the skin (usually at the scruff of the neck), there may be a little discomfort, but it is minor and only lasts a second or two. Some veterinarians prefer to administer vaccinations in the legs; this is due to the slight risk of vaccine-associated sarcoma (VAS). The theory is if the cat does develop VAS, it is easier to amputate the affected limb, giving the cat a better chance of survival. If this is the case, the FeLV vaccine will be injected under the skin on the left rear leg, and the rabies vaccine will be injected under the skin of the right rear leg. How much do cat vaccines cost? The average cost of the core F3 vaccination is between $60-$75 dollars if you have pet insurance check to see if you are eligible for a rebate for the cost. Do I need to vaccinate my cat? Yes, most of the diseases vaccinated against are deadly to cats. Why do kittens need three F3 vaccinations? The kitten will have protective antibodies (maternally derived antibodies, or MDA) in his system which he received from his mother both in-utero and via the mother’s colostrum (the first milk she produces). This is known as maternal immunity and serves to protect young kittens from pathogens while their immune system is still immature. Over time this maternal immunity diminishes, which then makes the kitten vulnerable to many pathogenic diseases. This typically starts to occur around the eighth week of age which is when the kitten’s first vaccination is scheduled. Maternal immunity may last longer in some kittens, which will inactivate the vaccine. Therefore to ensure all kittens are protected, a series of THREE vaccines are scheduled at 8, 12 and 16 weeks of age. This covers all kittens, regardless of when their maternal immunity starts to wane. Indoor cats are still at risk of pathogens and therefore need the F3 vaccination at a minimum. Cats escape, which can expose them either via a non-vaccinated cat or if he is handed into a shelter. Exposure can also occur during a trip to the veterinarian, or if you adopt a new cat who could potentially bring in an infection. All cats must receive their core vaccines. * Many veterinarians are moving away from annual booster shots for core vaccinations and are recommending tri-annual shots for low-risk cats. Both the American Association of Feline Practitioners and Australian Veterinary Association back this protocol. The Australian Veterinary Association (AVA) believes that in most cases, core vaccines need not be administered any more frequently than triennially and that even less frequent vaccination may be considered appropriate if an individual animal’s circumstances warrant it. However, local factors may dictate more frequent vaccination scheduling. These recommendations may be ‘off label’ for some vaccines. A single dose is given one year following the last dose of the initial series, then no more frequently than every three years. High-risk cats or compulsory vaccinations in certain countries or states. What if I don’t want to vaccinate my cat every 1-3 years? That is up to you; current recommendations are tri-annually. If you would prefer not to do this ask your veterinarian to perform a titer test. This tests the levels of antibodies in your cat’s blood which can indicate if he still has protection against common pathogens. The cost of a titer test is similar to the cost of routine vaccinations. 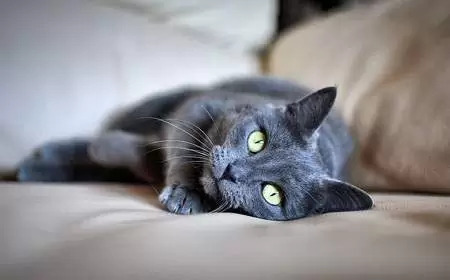 Even if you decide not to vaccinate your cat as per the recommended guidelines, it is still necessary to have an annual ‘wellness check’ to evaluate your cat’s overall health. Bear in mind boarding catteries will only accept cats who are up to date on their vaccines. 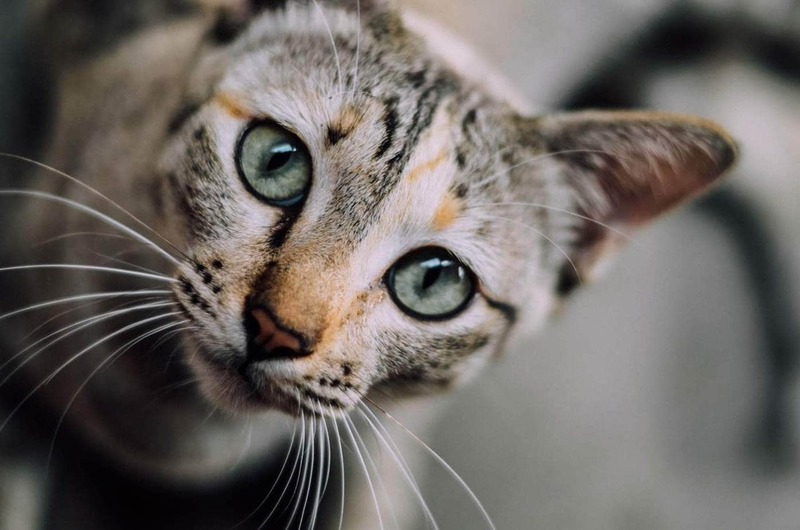 Recommendations are that an adult cat with no prior history should receive two F3 vaccinations spaced four weeks apart followed by a booster shot at 12 months and then every 3 years for low-risk cats. 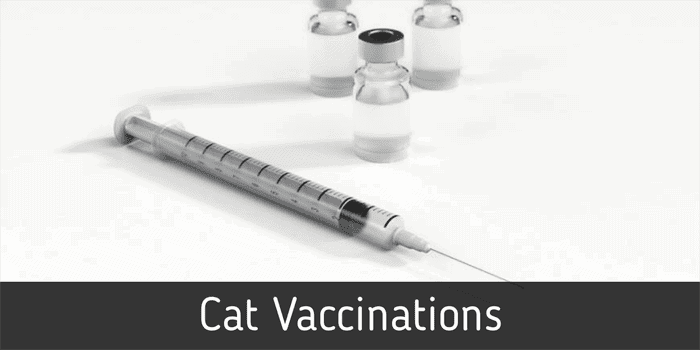 Speak to your veterinarian about vaccinating an immunocompromised cat, such as one with feline immunodeficiency virus. He may recommend only using killed vaccines. Where possible, it is always safer to avoid vaccinating a pregnant cat, but if she has had no vaccinations at all speak to your veterinarian about a possible safe vaccination protocol using a killed vaccine. Avoid live vaccinations as they can cross the placenta and cause deformities in developing kittens. Always speak to your veterinarian about any medications or vaccines for your pregnant cat; in many cases, it is safer to wait until the cat has delivered and weaned her kittens. If you are planning to fly your cat to another country, it is essential you check to see what vaccinations are necessary as this can vary from country to country. Cats who travel overseas will receive a pet passport which will show the cat is up to date on his vaccinations. You will need to find out what vaccinations your cat will require well ahead of time. For example in many countries, cats must receive the rabies vaccine at least 30 days before travel. I need help finding an FIV Vaccine in Ohio. I am located in Australia, but you could try catvets.com, they may be able to help. Do you know any vets in Sydney NSW that administer the tri-vaccines for kittens and cats? I cannot find any online! Hi Elizabeth, no I don’t. I just schedule a check up and tell the vet my cats are indoors and I prefer to vaccinate every 3 years. Good luck 🙂 If I do hear of one, I will let you know.